Home / Latest News / Three out, two in. Some of you will have seen the newspaper articles about a dog who was rescued by the Gendarmerie from its owner who had tied it to a lamp post and was systematically kicking it. The poor dog is now at the SPA and although he is not as badly injured as one might expect, it is still tragic that this seems to happen again and again. The owner will be prosecuted for animal cruelty, but as we know this is rarely enough to deter a recurrence. And a fine is always too small and is unlikely to be enforced. It makes me want to cry. Another puppy arrived, deposited at the home of one of the SPA employees by a neighbour whom he had followed through town. Needless to say he is not identified. 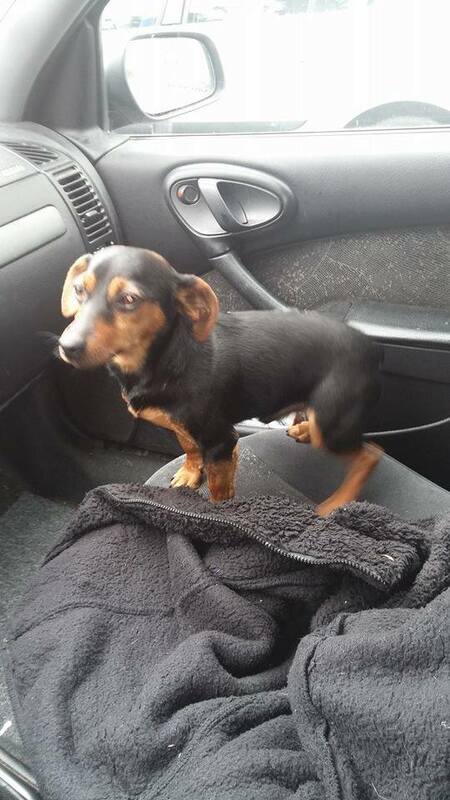 A third dog arrived identified, so he was able to be reunited with his owner immediately. There were even two adoptions believe it or not. 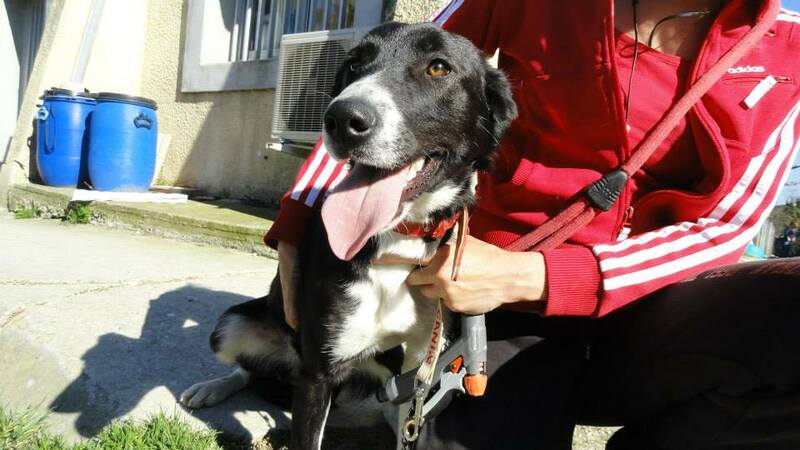 After two and a half long months, Alana, our lovely female border collie cross finally found a home. This was another internet romance, with her new owner having unashamedly fallen in love via Facebook and agreeing to adopt Alana, providing the feeling was mutual. Which it was. Hooray! The other adoption was that of Michigan, who left as soon as possible after his “pound time” was over. The best thing about this adoption is that his new owner is one of the guys who is helping to build the extension to the cat house at the SPA. Perhaps it will start a trend amongst his colleagues! Finally, look at this amazing poster which was made to publicise a SPA dog. 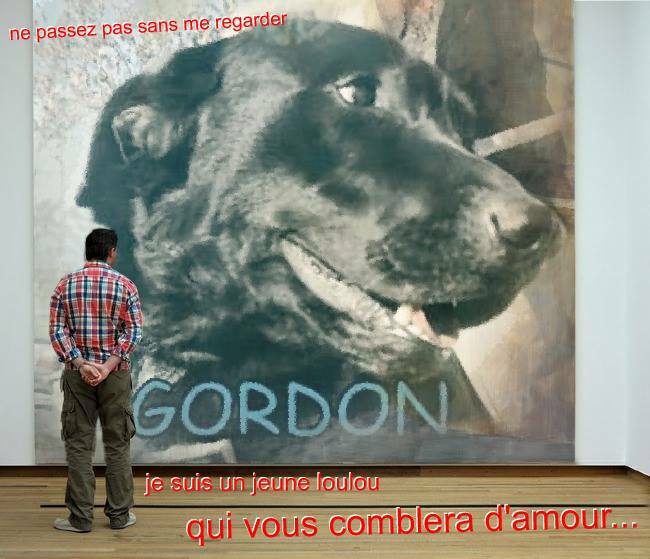 Gordon’s “sponsor” is obviously a very talented woman and hopes that this eye-catching picture will encourage someone to come and adopt her favourite dog! All our sponsors do an amazing job, by either coming to walk “their” dogs, by sending gifts of anti-tick collars, for example, or as in this case by being incredibly creative! And a boost for Gordon’s adoption chances! 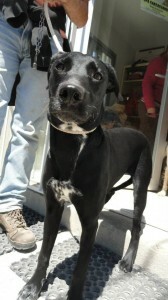 Next: Candy’s adoption is finalised.